The ASCENT 21 project sets out to further enhance FAA’s capabilities to perform rapid environmental policy assessments with regard to aviation’s climate impacts. As such, the project focuses on the continued development of tools to assess how different aviation policy scenarios at the global, zonal and regional scales could affect the climate. In particular, the ASCENT 21 team is supporting two efforts. First, the team is further developing the Aviation environmental Portfolio Management Tool – Impacts Climate (APMT-I Climate). 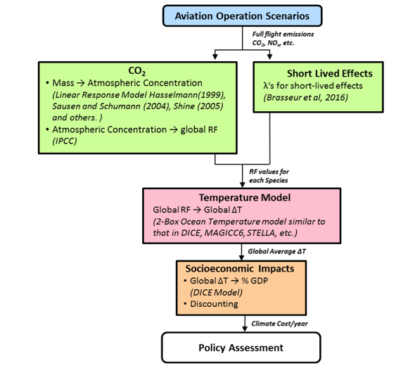 APMT-I Climate is a reduced-order model for estimating the current and future climate impacts of aviation under different growth and/or policy scenarios. Second, the project concerns itself with a more detailed analysis of contrails, the white line-shaped clouds that form behind aircraft, which potentially result in significant climate impacts. The FAA will use the tools and findings from this project to inform its strategic vision on sustainable aviation growth. APMT-I Climate is a fast, flexible, and robust tool that probabilistically calculates the climate impacts and resulting monetary costs of aviation emissions. 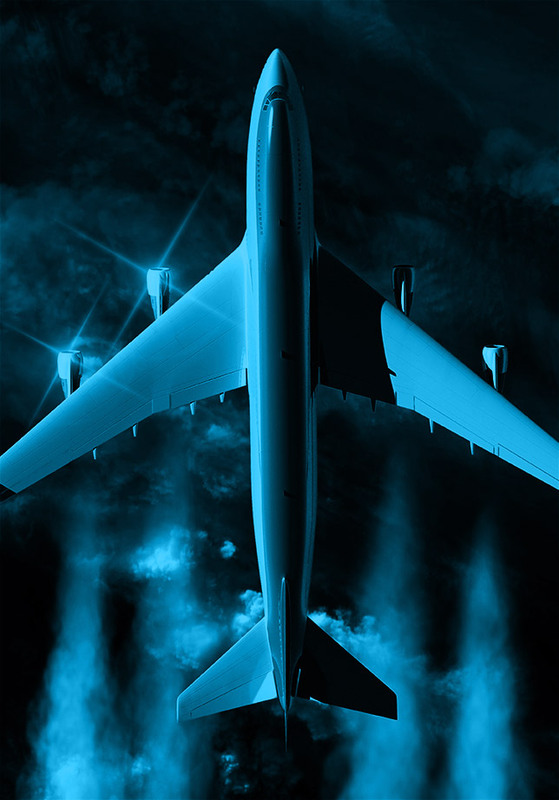 It is covering a variety of different aviation-induced climate impacts and builds on an impulse-response function approach that considers radiative forcing, temperature change, and societal damages from aviation CO2 and other forcers such as NOX, Soot, Sulfates, and H20. APMT-I Climate is a globally-averaged model that includes a two-box ocean temperature response model and a model to derive the societal damages from global temperature changes. Thus, the tool can be applied to inform societal assessments of domestic and international aviation policies, goals, and future growth of the aviation industry. Furthermore, the ASCENT Project 21 team is evaluating MIT’s Contrail Evolution and Radiation Model (CERM). CERM is a physically realistic 3D model of dynamical and microphysical processes from the jet phase at contrail formation to the diffusion phase as contrail-cirrus. As such, it models contrails and their physical properties from formation to diffusion, so that the radiative forcing impacts of contrails can be quantified. The APMT-Impacts Climate tool has been used for a wide range of scientific analyses of aviation-induced climate impacts. Furthermore, potential designs of global aviation policies have been assessed with the tool to inform decision-making, such as during the ICAO CAEP/8, CAEP/9 and CAEP/10 cycles. 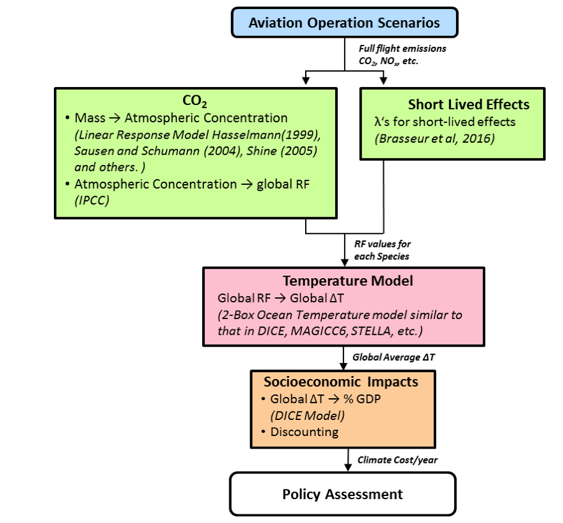 During the ICAO CAEP/10 cycle, for example, the ASCENT 21 team supported the analysis of costs and benefits of a global aviation CO2 standard, particularly through modeling aviation-induced climate impacts, through developing scientific and economic lenses, and through studying climate-noise trade-offs and co-benefits. The results of these analyses were presented as part of two US Information Papers at the 10th meeting of the ICAO-CAEP.